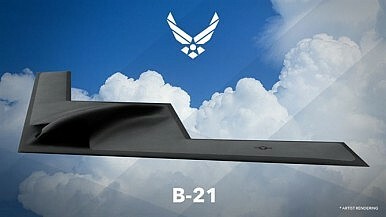 In May, the U.S. Senate Armed Services Committee voted against public disclosure of the contract cost to design and build the U.S. Air Force’s new long-range B-21 stealth bomber due to the fear that revealing the bid value would provide U.S. adversaries with too much information about the aircraft’s capabilities, CQ Roll Call reports. The vote against revealing the bomber costs defeats an effort by the Armed Services Committee Chairman, Senator John McCain, to require the public disclosure of the contract value. “You’re not serving the nation and the taxpayers if they don’t know how much of their taxpayer dollars are being spent,” McCain said during a hearing in March. The contract awarded [in October] was for the Engineering and Manufacturing Development (EMD) phase, a “cost reimbursable type contract with cost and performance incentives,” (…) at an estimated worth of $21.4 billion in 2010 dollars. Fixed-cost contracts, however, have also not succeeded in reducing overall program costs, as a RAND study recently found. The crux of the matter is that at this stage in the process neither Northrup Grumman nor the U.S. Air Force genuinely know how much it will cost to design and build the B-21 stealth bomber, an aircraft with a completely new design that also will incorporate some existing technologies.